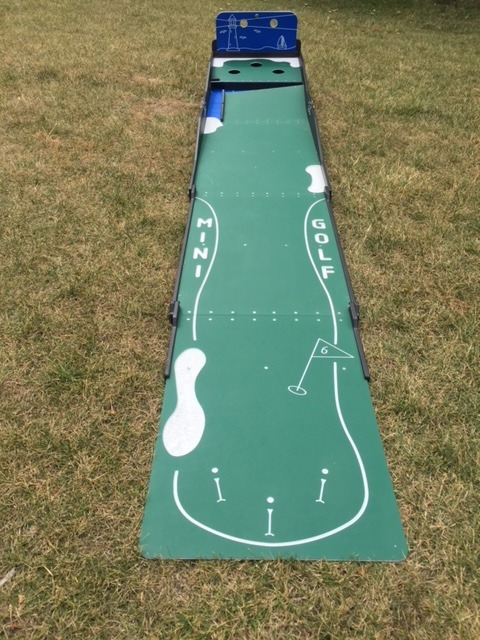 Test your putting skills with our 9 Hole Mini Golf Course . 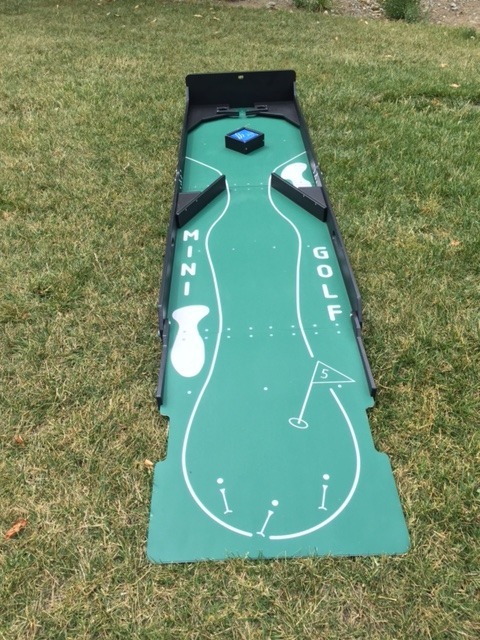 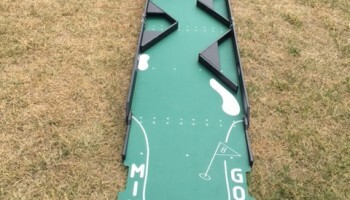 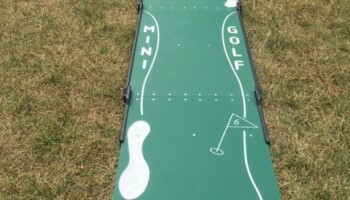 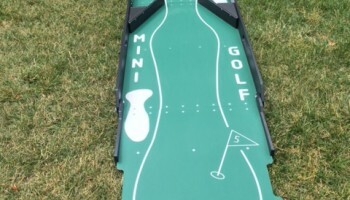 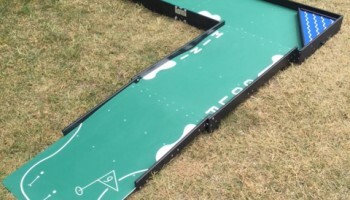 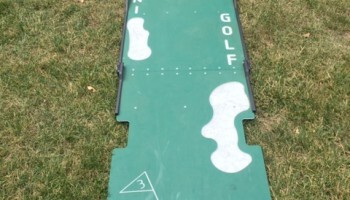 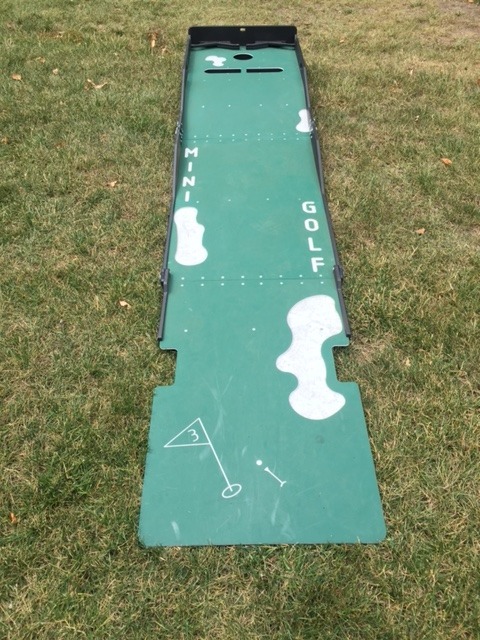 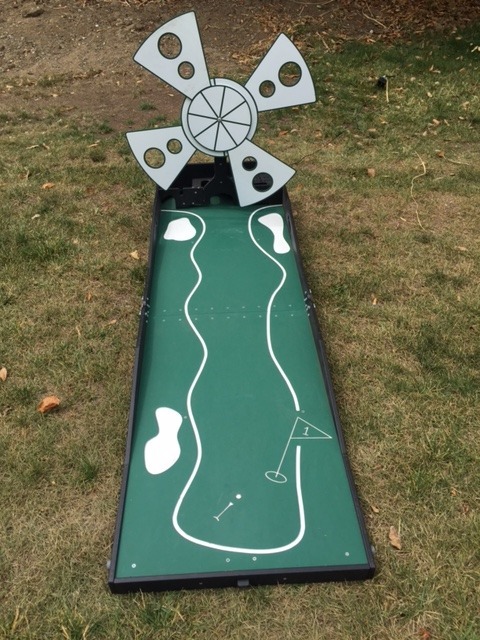 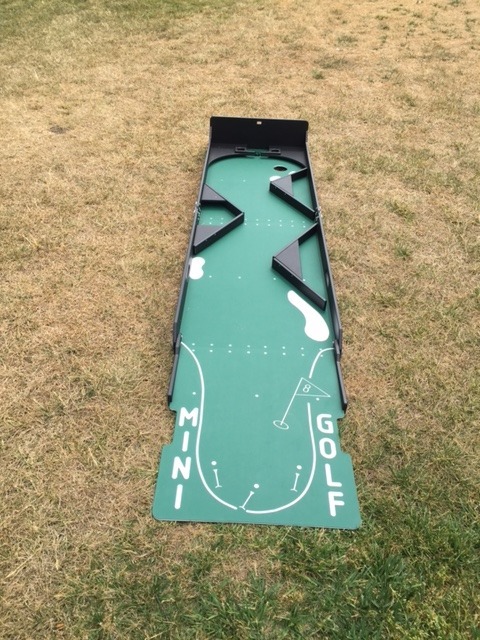 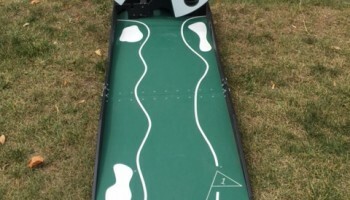 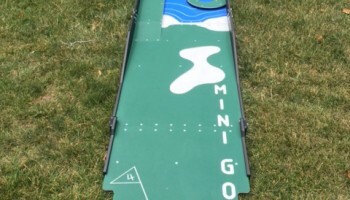 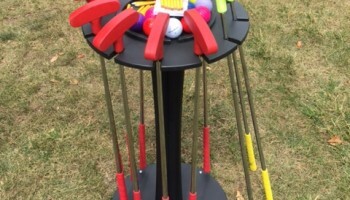 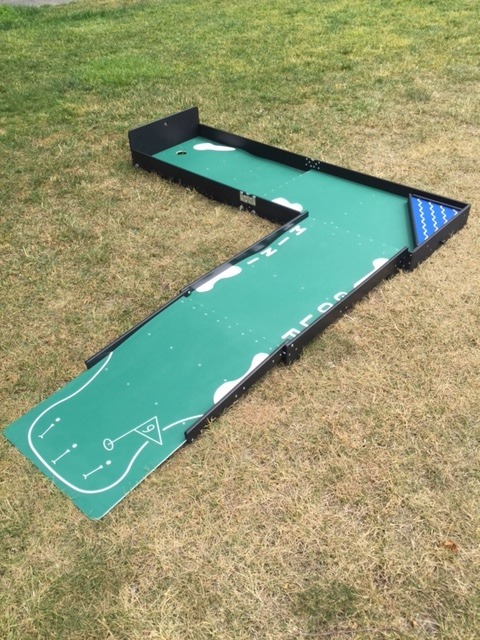 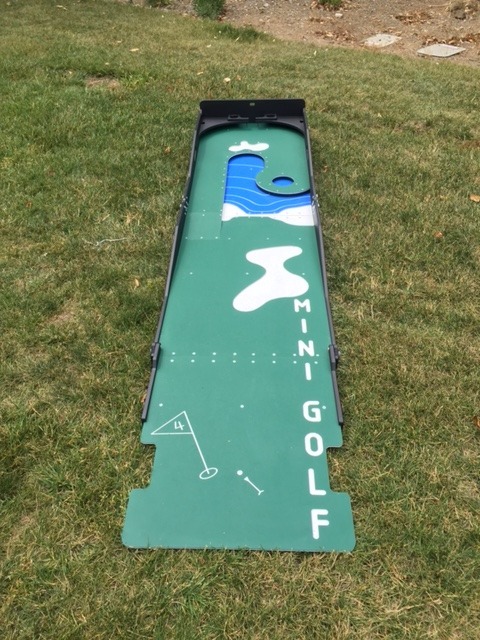 Putt the ball through the tunnels, bridges, obstacles, hills, and many other challenging obstacles.We rent these mini golf hole games as a whole set or you can rent them individually. 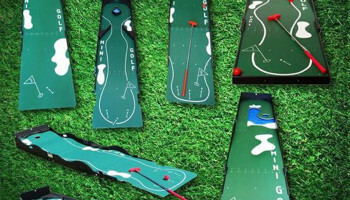 We can supply scorecards and pencils if you rent all 9 holes. 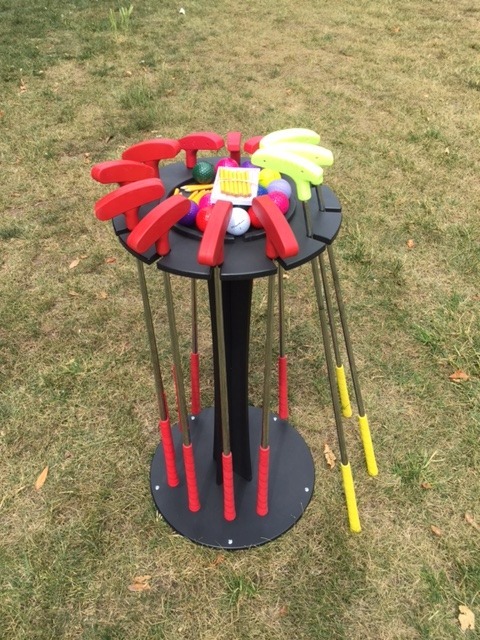 A superb item for a competitive flair to your next corporate event. 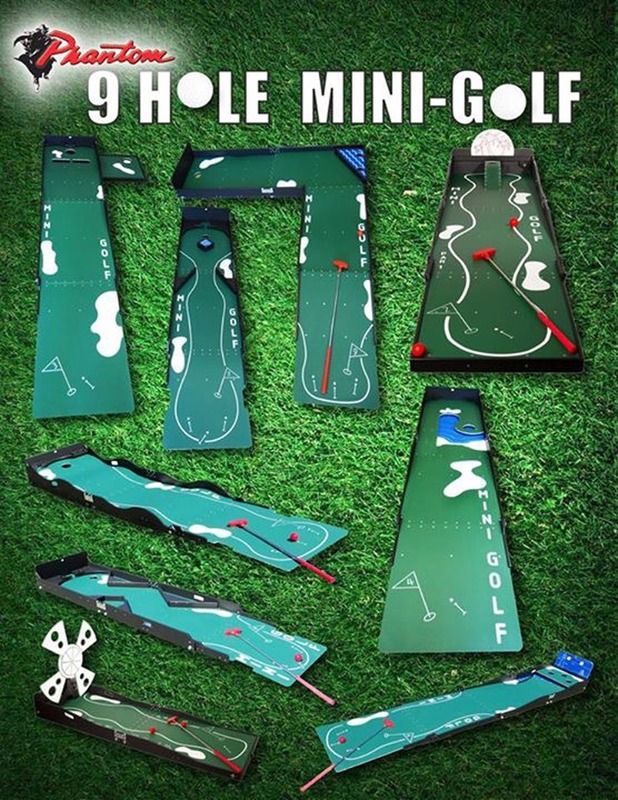 WE supply with our 9 Hole Mini Golf Course putters, colored balls, and a nice putter rack to hold all the putters. 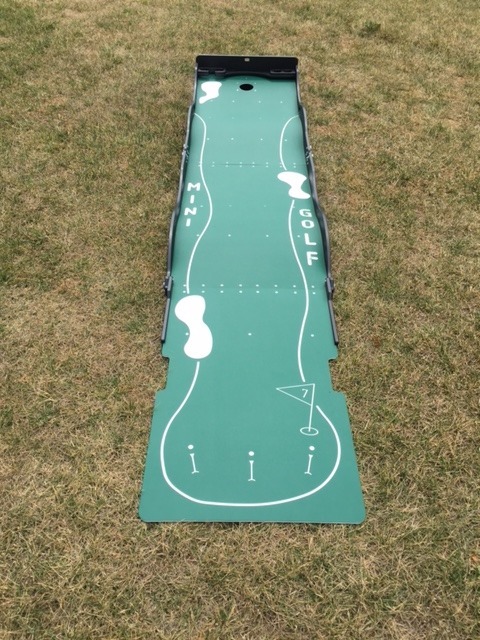 We can also have a custom scorecard made if your trying to make your event a custom corporate event. 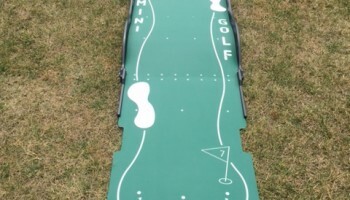 The mini golf holes are very sturdy and extremely challenging. 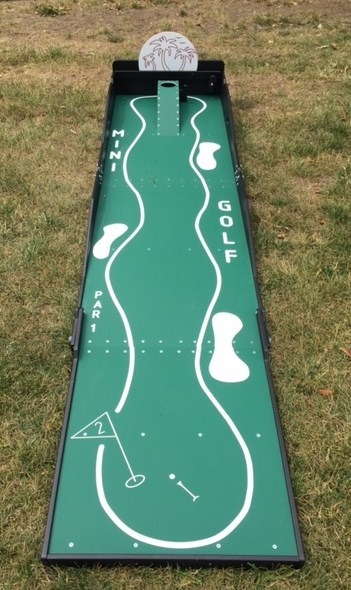 Some Mini Golf Holes Will Require Power Supply. 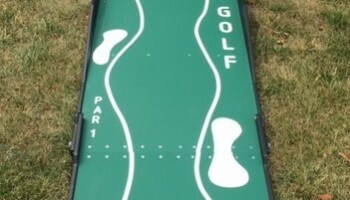 Comes with balls and putters if renting more than one hole.